I’ve always loved cycling, it’s been my passion as long as I can remember. I was a member of British Cycling’s squad for 18 years from 1995 until I retired from elite competitive cycling in 2013, following the London Olympics. I’ve stayed involved with the sport since then, regularly keeping in contact with the riders, coaches and other support staff at British Cycling. I hope my involvement will last a lifetime. Around this time last year, British Cycling was regarded globally as a benchmark governing body in sport, with unprecedented success across all cycling disciplines. Dozens of womens’ and mens’ World, Olympic and Paralympic Champions, huge growth in membership and millions more people across Britain inspired to take up cycling for fun and for fitness. Like many of us, I’ve sat by and watched the media reports unfold regarding the serious allegations relating to the treatment of riders within the team. It’s upsetting and incredibly sad to read, but I feel bound to say, these are not experiences I recognise from my time at British Cycling. It feels terrible to think that anyone has ever experienced bullying or discrimination during their time with British Cycling. Hundreds of riders have come through the system over the past 20 years. As members of the British Cycling squad, we’ve all had the same network of support around us. Clearly a small percentage of the team felt that support didn’t meet their expectations at all times during their careers. Each and every one of those riders has the right to be respected and for their grievances to be heard. Every organisation has a responsibility to stamp out bullying and/or discrimination. I believe this very public mudslinging and media coverage has been sensationalised in many ways, however one very important upside is that those riders know they are now being listened to. From what I read and understand through various conversations, British Cycling recognises they’ve fallen short in a number of areas. They’ve now outlined a 39 point plan to ensure the right processes are in place to deal with these issues. This will not only protect the riders, but must equally importantly also protect the coaches and support staff too, whose own reputations have been damaged irreparably over the past 12 months. Some may argue too little too late, but even for those who did feel let down by British Cycling in the past, it’s encouraging to know that British Cycling is now engaging with those riders. I don’t doubt for one second that every single person involved in this process has the interests of our sport at heart. As an elite athlete, I trained to win. Training was at times brutal, it has to be when you want to represent your country and to be the world’s best. I pushed myself hard, and I was pushed hard by my coaches. There were times when I didn’t make the grade and I wasn’t selected for events. There were many times when I disagreed with my coaches. I believe all of this contributed to help bring out the best in me when it counted. I would not have achieved what I did without them and will be forever grateful for what they did. I was part of the British Cycling squad before lottery funding. Before we could afford the very best in coaching, support staff and facilities. Before the growth in popularity of cycling across Britain. Before we were actually any good as a nation at cycling. We are now the world’s best and have been for the past three Olympic and Paralympic Games. I’m incredibly proud to have played a small part in this success, and every rider, coach, support staff and supporter of British Cycling can share my pride. Success is also about the legacy left behind, and my satisfaction extends not only to the performances of the elite riders, but also to seeing so many people of all ages and abilities enjoying their bikes across Britain every day of the year. My career as a cyclist has taught me how to win, but also how to lose. How to get up when you’re down and out. So, I’d urge everyone involved, whether a rider, support staff, coach or senior management alike, to dust yourself down, regroup, identify where you can change and improve. Work once again as a team and be better than the competition. Raise your head high and look to the future. After each Olympic Games, I’m always excited to see the young emerging British talent perform at the following World Track Cycling championships, and this year is no exception. 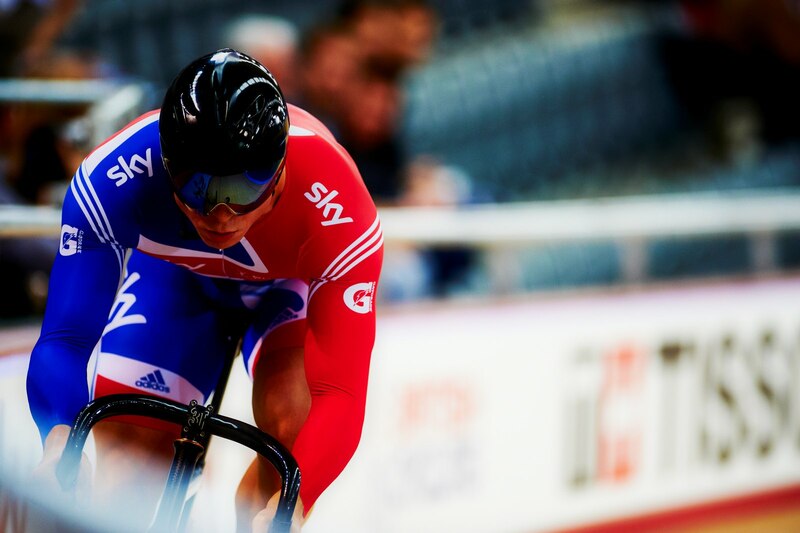 They take place in Hong Kong from 12th-16th April, and with big names like Laura Kenny and Jason Kenny absent from the GB team it’s a great opportunity for the next wave of future stars in our wonderful sport to shine. I’ll be on punditry duties each day for BBC alongside Jo Rowsell-Shand and Clare Balding and can’t wait.